Gear bike shop is situated in the heart of Glasgow’s West End, 2 minutes from Glasgow university and right next to Kelvin grove Park. A warm friendly atmosphere awaits you, where you can hire a bike, get your bike fixed or even buy a new one! 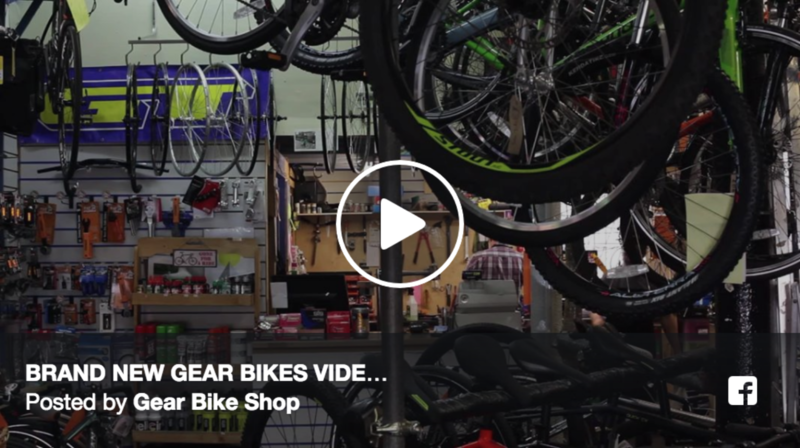 Instore at gear bikes you will find everything from small parts / accessories / used adult & kids bikes / new bikes / trade in's / upstairs workshop / wheel building ( by our inhouse wheelbuilder ) ......electric bikes / hybrid bikes / road / single speed bikes & kids bikes. we pride ourselves on good old fashioned customer service !! Cycle hire always available! Scotland’s best loved cycle hire place, bookings now being taken FOR 2019! check our our new online booking service ! See Scotland by bike this year: check out our online rental system to make a hassle free booking for your next cycling adventure! You can hire a bike from us from a couple of hours to a couple of weeks. They come with everything you need from lights to locks. The perfect way to get around Glasgow. No need to book your bike in with us, just turn up. Our mechanics are the best around. We can handle everything from punctures and broken spokes, to complete tune-ups and rebuilds. Gear Bikes Shop is owned and ran by Joe Allan, and has been servicing Glasgow’s cycling community now for over 20 years. Now a staple of Glasgow’s West End, Joe and his team will always be happy to fix your broken bike and help get you back on the road again! any day, any time just pop your bike in and we will be happy to text you a quote for any jobs. We boast one of the fastest reply/turnaround services in the business, check out our service page! We sell hybrid, mountain, BMX and road bikes with models from Ridgeback, Genesis, cannondale , GT, Mongoose, Pashley and frog!!! With summer fast approaching we can take care of your childs cycling needs , instore we have the brilliant FROG BIKES measuring chart ! great for sizing them up . Walk – Gear is just two minutes from Kelvingrove Park. We are located straight across from the famous “Stravaigan” Restaurant on Gibson.